Singapore, 10 September 2018 – To celebrate the upcoming Golden Week holiday in China, WorldHotels, a global brand that brings together some of the world’s most unique independent hotels in 250 destinations, has put together a list of incredible locations to pique the interest of social media and photography enthusiasts. Available from 15 September 2018 to 15 October 2018, guests staying a minimum of two consecutive nights at participating hotels across the globe will be entitled to 15% savings on Best Available Rate with daily breakfast for 2, complimentary Wi-Fi access and an additional benefit or experience offered by individual properties. Further details to the offer can be found at www.worldhotels.com/special-offers/china-golden-week-2018. When in India, a photo with icons such as the Taj Mahal and the Red Fort is a must for bragging rights. Although if you’re looking for pictures that speak beyond a thousand words, the city of Jaipur awaits you with golden opportunities. Perfect for a day trip from New Delhi, the rose-pink city has been gracing countless social media accounts with its unique architectural designs and vibrant colors. A must-visit is Jaipur’s celebrated landmark, the Hawa Mahal, a palace that once allowed royal ladies to watch any activities on the street without being spotted by the masses. Set your base at The Lalit New Delhi, a sumptuous 5-star hotel located in central Delhi and close to key commercial and business locations, before taking a train or flight to Jaipur. The 461 contemporary rooms and suites are tastefully designed and feature glass-enclosed bathrooms, bespoke artwork and warm wood floors. Walking down the streets of Melbourne’s inner-city neighborhoods, you might notice something special on the walls. Big, beautiful and bold – the city’s wall murals will enthrall you upon a walking journey around to uncover these colorful gems. Keep your eyes peeled for some notable pieces, especially Melbourne’s oldest and most significant mural by world-renowned American artist Keith Haring at Johnston Street, Collingwood. For easy access to lanes filled with these unique murals, book your accommodation at Stamford Plaza Melbourne. Located at the “fashionable” end of Little Collins, the hotel is a stone’s throw away from many of Melbourne’s stylish restaurants, bars, and shops, as well as iconic theaters and the city’s famous sports grounds. This one is for the food lovers who love taking photos of their meals! If you are up for the ultimate café-hopping adventure, look no further – Taipei is filled with amazing cafes promising “photo-licious” food. From intricately designed desserts to hearty all-day breakfasts, there’s something for every camera and every stomach. To top it off, these cafes often feature aesthetically pleasing interior designs that serve as the perfect backdrop for OOTD (outfit-of-the-day) shots. To kickstart your café-hopping adventure, stay at Sunworld Dynasty Hotel Taipei, a hotel perfectly located in the city center of Taipei with easy access to the metro. After a day of photo-taking and feasting, guests can wind down and relax in the comfort of their rooms or lose the calories at the well-equipped gymnasium. For millenniums, the charming seaside port town of Tangier is well-known as the gateway between Europe and Africa. Teeming with character from its multiculturalism and ancient history, Tangier is a rising hotspot among travelers with plenty to see, do and eat. Just a 2-hour drive away from Tangier lies the small city of Chefchaouen, a city that is famous for its iconic blue architecture throughout the city. Take your time to walk along the blue medina and spot the uniquely designed doors and Moroccan tiles that adorn the walls. After a day trip to the otherworldly blue city of Chefchaouen, rest and recharge back in Tangier at Kenzi Solazur. Located in downtown and close to all the main attractions, the hotel boasts 348 splendid rooms and a wide variety of recreational facilities and restaurants. When you think of Phuket, what comes into the mind first is always sunny beaches! However, not many may know about a secret spot in the island – Samet Nangshe Viewpoint. A short 1.5-hour drive from the city center, this location is admired for its breathtaking panoramic sunrise over Phang Nga Bay. If you are lucky enough, you might also catch a glimpse of the Milky Way from the spot. If you’re still yearning for that ultimate tropical vacation, kickstart your holiday at Amatara Wellness Resort, a luxurious beach resort that offers sumptuous, integrated wellness programs within its facilities. It is a 15-minute drive from the main town and within easy reach of the island’s main attractions. If you are into nature photography, you are in for a treat at Mount Kinabalu National Park. Surround yourself with more than 4,500 species of flora and fauna at the first Malaysian UNESCO World Heritage Site and keep your eyes peeled for sightings of carnivorous plants and even the world’s smallest orchid. If you’re feeling extra pumped, consider scaling Mount Kinabalu to document your achievement for eternity. After all the adventure, come home to Sutera Harbour Resort, a fully-integrated lifestyle haven that comprises of The Pacific Sutera Hotel and The Magellan Sutera Resort. Set against the stunning backdrop of Mount Kinabalu and overlooking the South China Sea, the combined offering of more than 950 rooms and suites are fully equipped with modern conveniences for a comfortable stay. In fall, Boston is a sight to behold, especially if you enjoy taking photos of Mother Nature in her golden hued glory. From the picturesque Boston Common public park to the charming cobblestoned streets of Beacon Hill, every corner you turn to is perfectly adorned by the trees and their beautiful autumn foliage. If you have some time to spare, consider taking a photography walking tour and explore the city of Boston from different angles with local experts. Guests looking to stay in a charming, quaint hotel can consider The Eliot Hotel, a stylish boutique hotel that is just a short walk away from cultural landmarks, hip restaurants and shops. Guests can enjoy the quiet comfort of the 95 European-inspired guestrooms and suites, each featuring fancy details such as Italian marble, exquisite toile and soothing ikat fabrics. With its gleaming skyline and soaring skyscrapers, Dubai is a cityscape photographer’s dream come true. Housing the world’s tallest building, the Burj Khalifa at a towering 829,8 meters, the city also includes picture-perfect projects such as the amazing World Islands and the Palm Jumeirah. For something a little more traditional but unique, check out Al Bastakiya, the historical district that still holds the memories of old Dubai before what it is today. 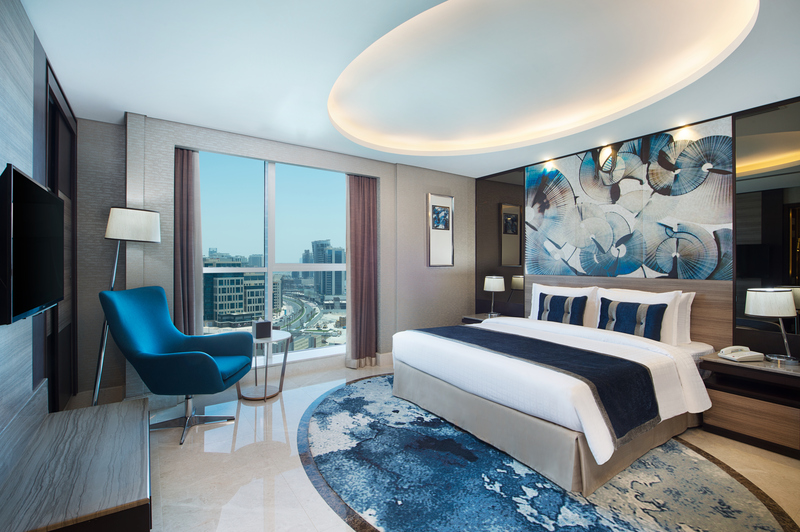 For accommodation options, Gulf Court Hotel Business Bay is a newly built addition to the beautiful Dubai skyline and perfect for an unforgettable stay. Facing the famous Burj Khalifa, the hotel provides unrivalled accommodation for both business and leisure travelers. All 269 rooms and suites offer amazing canal or city views, and come with complimentary Wi-Fi, minibars, and in-room tea and coffeemakers.